Our route is Blanes – Barcelona – Port de Soller – Port de Andratx – Palma – Port Colom – Cala Ratjada – Port d’Alcudia – Blanes, which will be held from July 27, 2017, until August 8, 2018. Cost of the tour: 970 EUR. 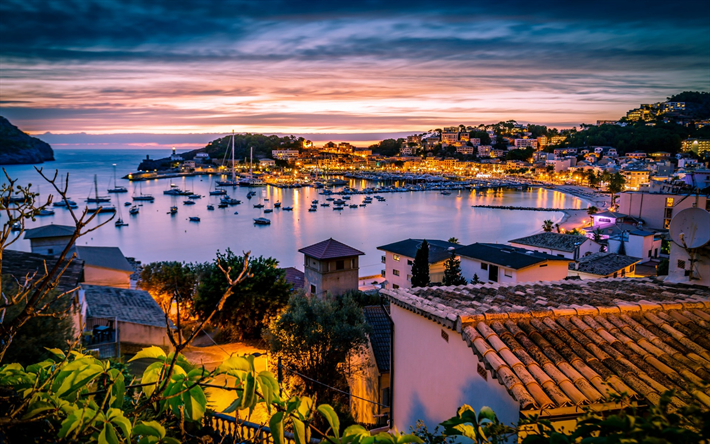 Day 1 – Meet and greet of cruise participants in the base marina in Blanes, which has been known for many centuries and is considered as one of the oldest ports on the entire Mediterranean coast. 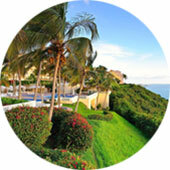 This picturesque city is located in a secluded bay at the foot of a hill. 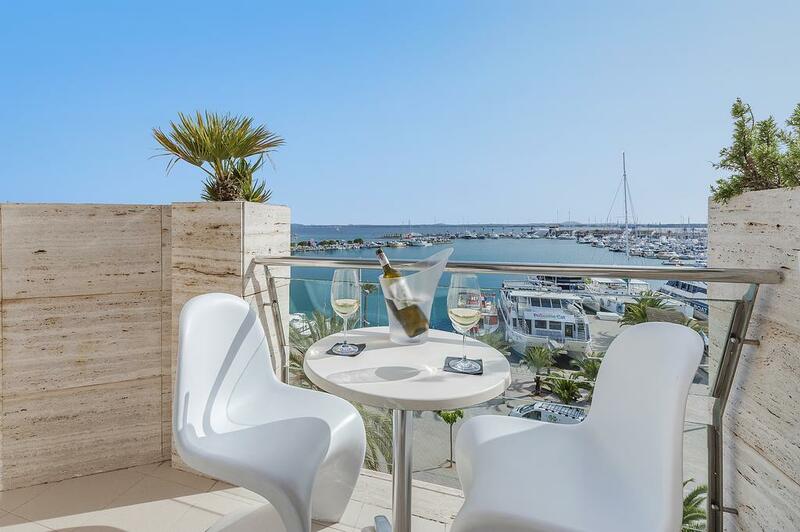 We will then board the yacht, buy food, and the captain will give you safety instructions, after which you can go to the beach and then have dinner at one of the many seafood restaurants in the city. We will spend the first night on the yacht in the marina. 2 day crossing, 35 miles. 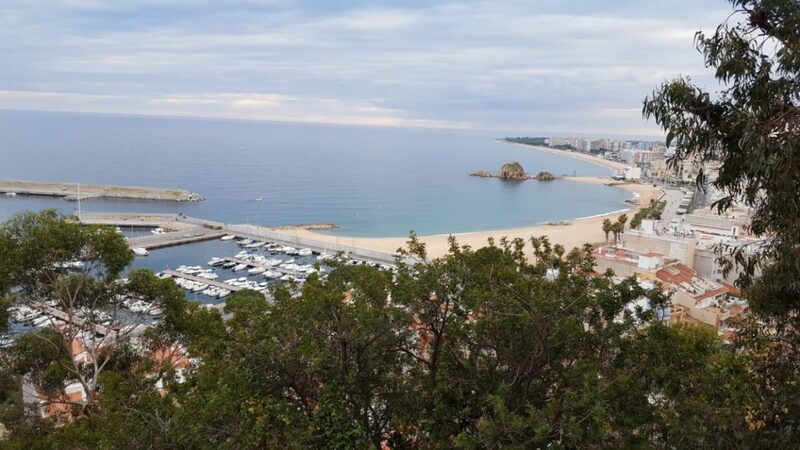 Blanes – Barcelona. We wake up and head out to sea the next morning and enjoy the views of the Costa Brava. After breakfast, you may choose to bathe in one of the bays. We then arrive in Barcelona around 2pm and spend the rest of the day there. 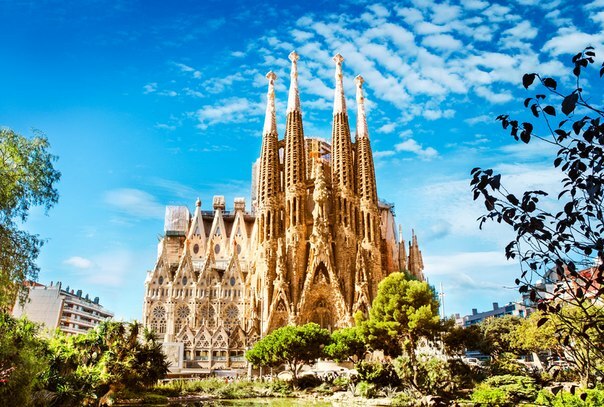 ​​We highly recommend visiting Tibidabo mountain – a part of the Collserola mountain range. The height above sea level is 512m and is the highest point in the city. On the slopes of the mountain, there is Tibidabo Park with an observation tower and various attractions. There you can find the temple of the Sacred Heart at the peak. 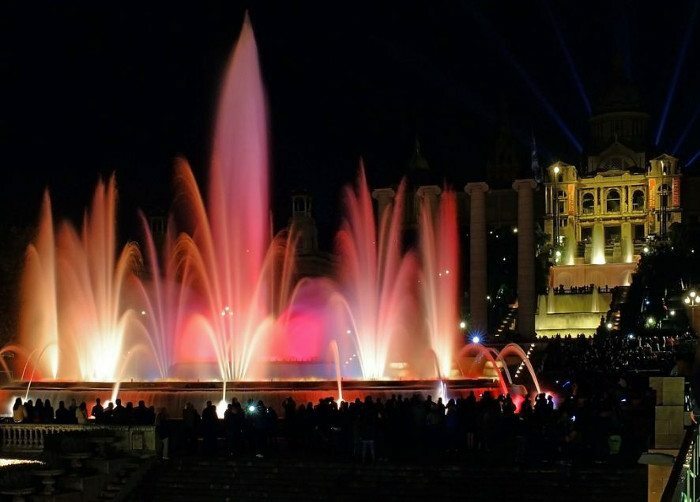 In the evening, we recommend seeing the magical singing fountains, which are considered the most beautiful water tourist attraction in Barcelona. If you still have energy, there are many things to explore in the city which has a vibrant nightlife. There are ​​a considerable amount of nightclubs in Barcelona. 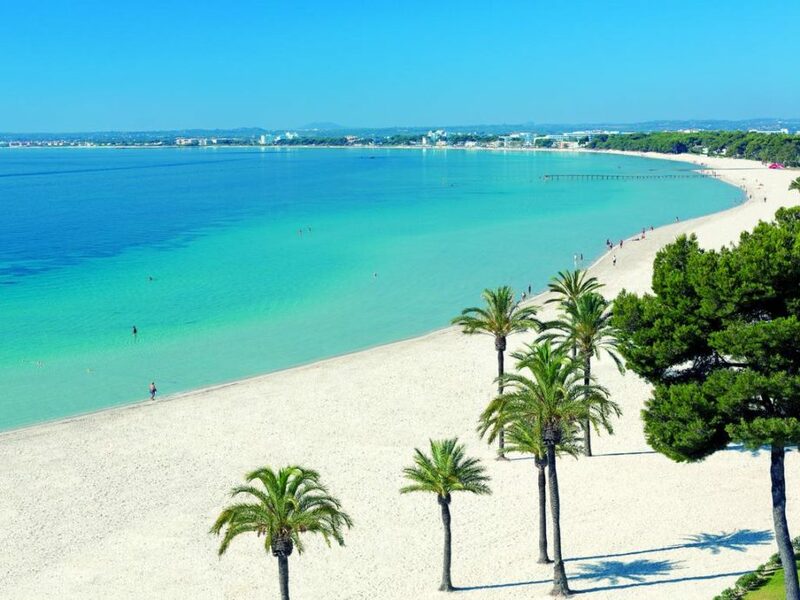 But do keep in mind the next day we have a long trip to Mallorca. 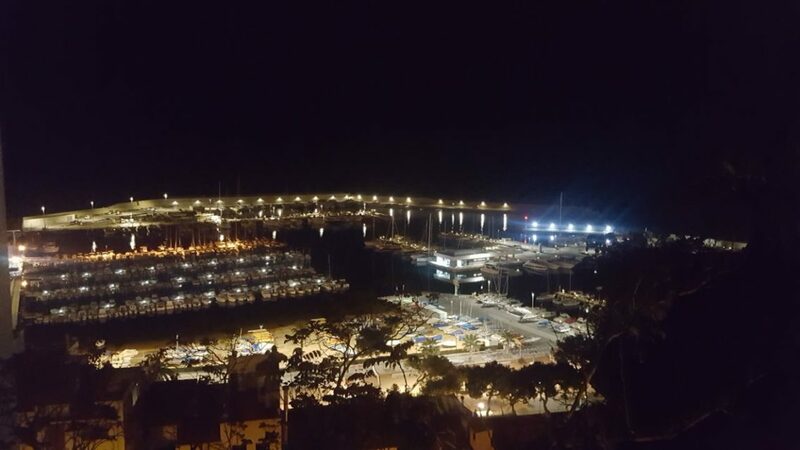 We will spend the night in the port of Barcelona. 3-4 day crossing, 110 miles. Barcelona – Port de Soller. 09:00 depart from the port of Barcelona. Spend the night at sea. 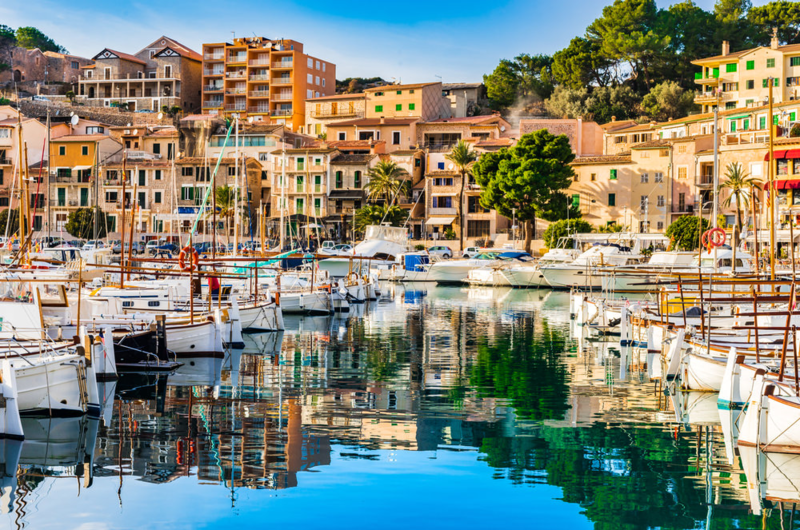 The morning of the 5th day begins with mooring in Port de Soller, which is the only port on the unassailable and incredibly picturesque west coast of the Mallorca island. The west coast of the island is a UNESCO World Heritage Site, and it is a favorite holiday destination for those who love to get in touch with nature, enjoy an active and ecological tour, or for those who just want to spend a relaxing holiday away from the hustle and bustle. 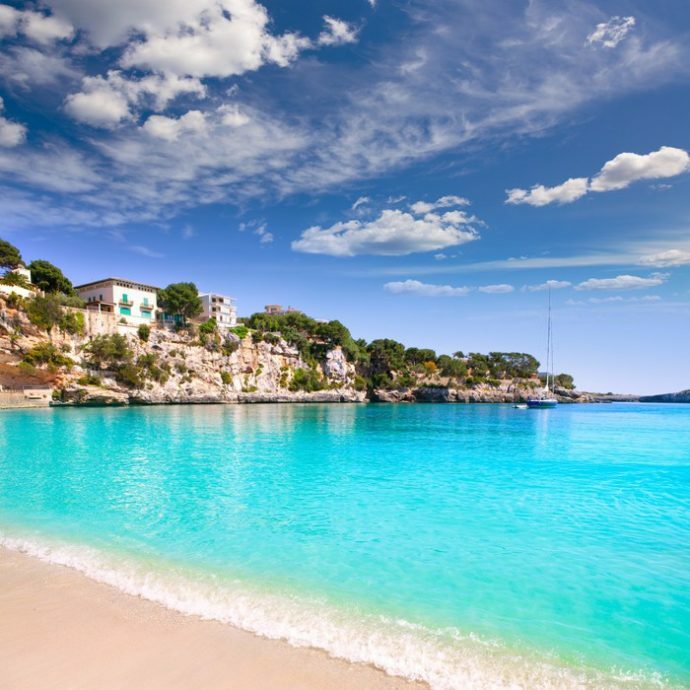 Mallorca Island is known as a place where the world’s most famous and wealthy people come to rest. If you climb a small trail to the lighthouse, to the left of the port, you will find the observation deck where you can get a breathtaking view of the entire harbor, coastal rocks, and sea that seemingly fit right in the palm of your hand. You can also take a ride on an old tram that runs from the port to the town of Sawyer. Enjoy swimming in the bay and spend the night at the marina. Day 5, a 49 mile trip (2 stages). 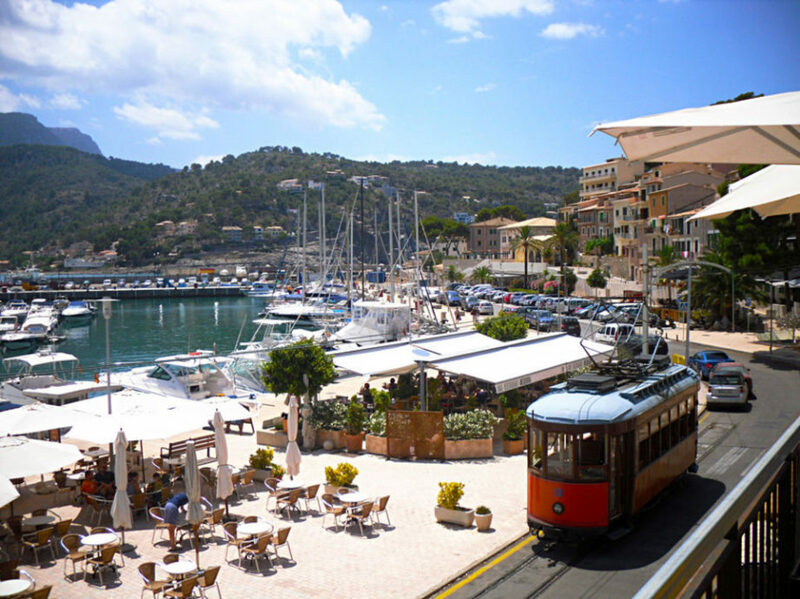 Port de Soller – Port de Andratx – Palma de Mallorca. We wake up and go out to Port de Andratx, along the way we swim in the bays and sunbathe. At 15:00 we arrive at Port de Andratx and have lunch at one of the local restaurants, which always have fresh fish and seafood. Then after lunch, we go for a walk and swim. 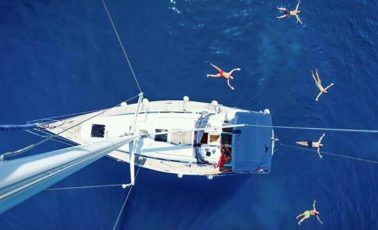 In the evening we sail along the coast of Palma and arrive in the bay to spend the night at anchor under the starry sky. Day 6, a 27 mile evening trip. 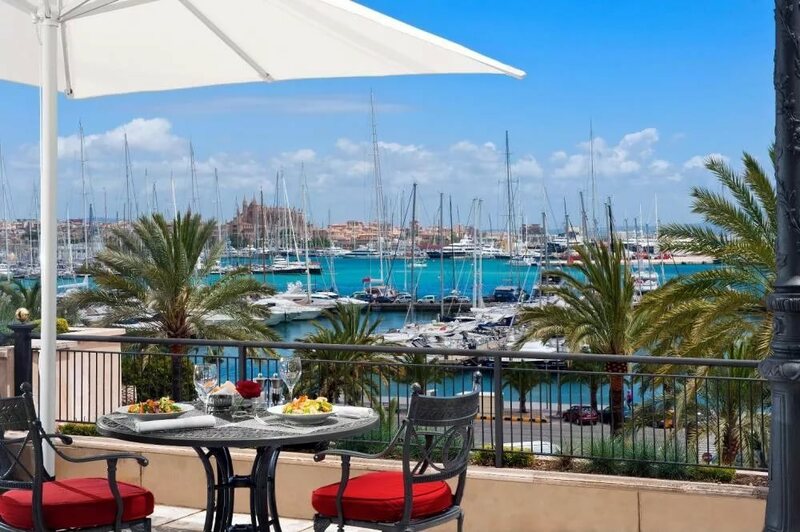 Our day begins with mooring in the port of Palma then we have free time to visit the city and dine at the local restaurant. In the southern part of the city, there is the Cathedral of La Seu – the “Cathedral of the Light,” which is recognized as one of the major architectural monuments of Southern Europe. 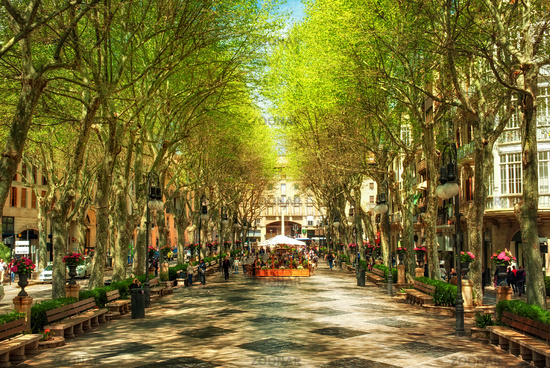 The central street of Paseo de Born is in the business district of the city. The wide street isn’t too far from the cathedral, so in the shade, you can take cover and escape the midday heat. The street ends at the square with a small fountain, a favorite place for recreation and taking a stroll. For tourists and local residents, there are many green spaces, flowers, benches and cozy cafes. 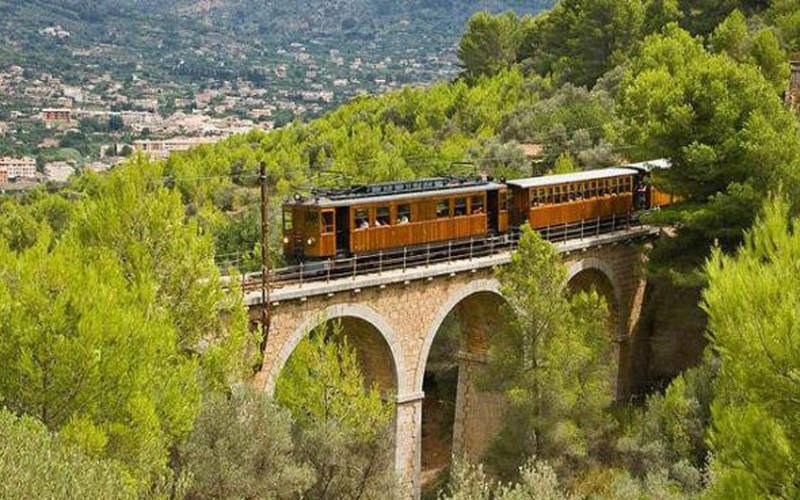 If you do not have time to visit the city of Sawyer in Port de Soller during this time, then you can get there by taking the wooden train, which has been operating for more than 100 years. The route is from Palma to Sawyer and back (travel time for the round trip is 2 hours 30 minutes). The train passes through hilly terrain, tunnels, and lemon and olive groves. 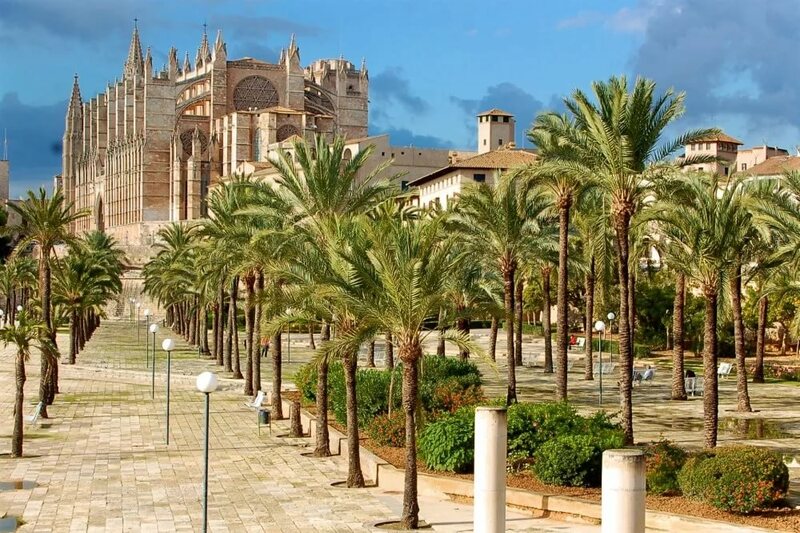 Palma de Mallorca is famous for its exciting sights, magnificent beaches, palm covered alleyways, exquisite cuisine, excellent climate and the incredible energy you get from being there. 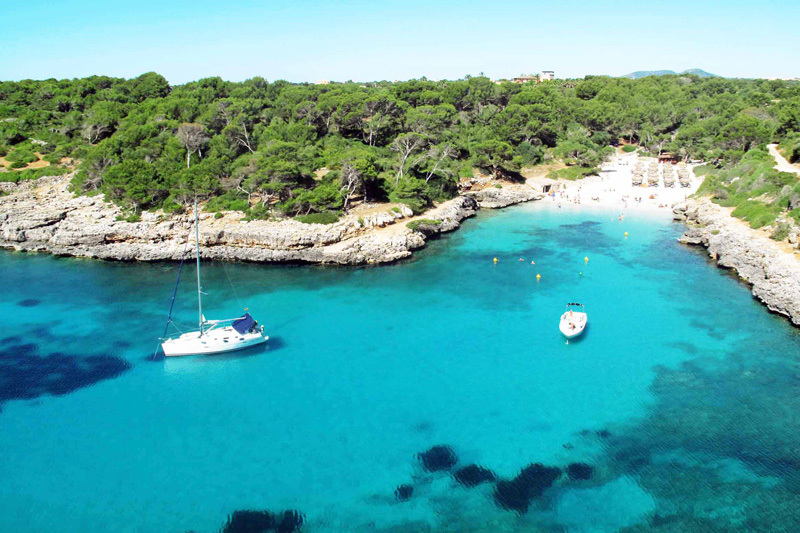 During the trip, there are delightful views of the magnificent scenery of Mallorca. 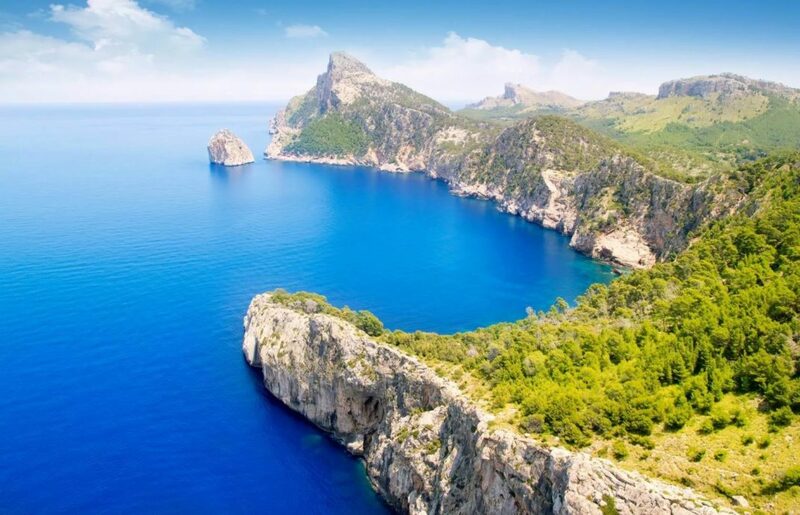 Passage to the East coast of Mallorca (20-25 miles). 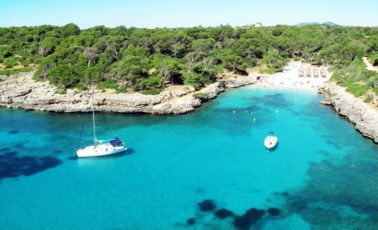 Stop overnight in one of the bays of Salo Des Moro, Cala d’Or, or in the marina of Porto Colom. Day 7. 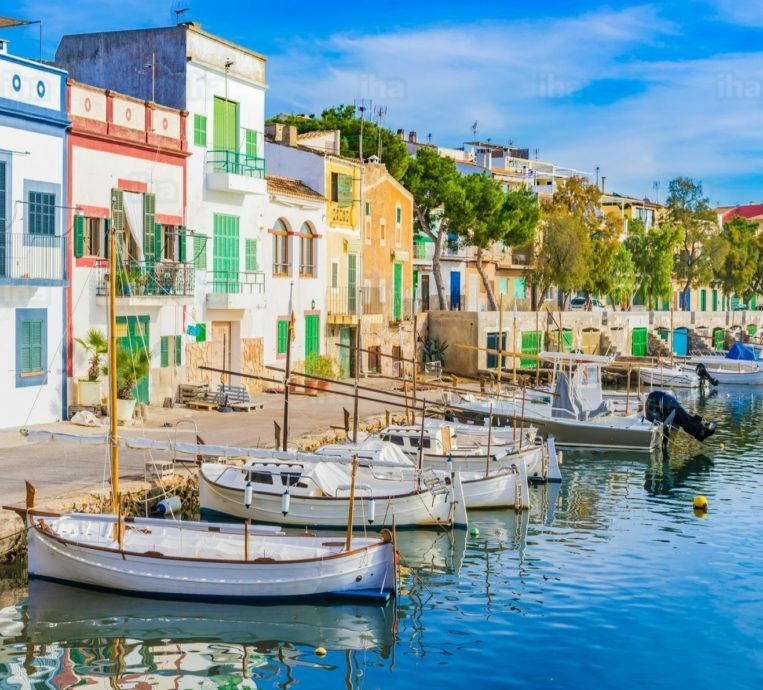 Port Colom is very popular in Majorca and Spain. It is located in the depths of the natural harbor and still retains the image of a small fishing port with boats near the pier and lighthouses along the waterfront. Near the dock, there are restaurants where you will be served freshly caught fish and traditional meat dishes of Mallorca. 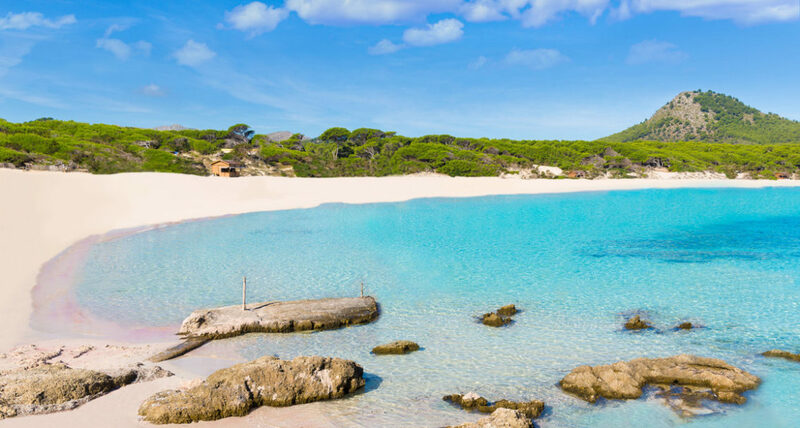 The area has many excellent beaches, with the most famous beach in Port Colom being Cala Marsal, which extends south of the pier. This beach won the famous Blue Flag award and walking on the sand is like walking on a cloud. 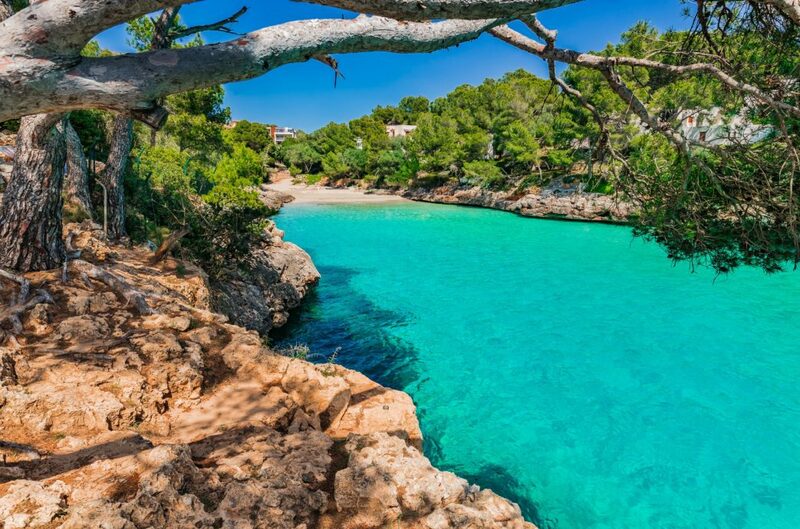 A little further down and there are two more beaches – Cala s’Algar in the north and Cala sa Nau in the south. If you like wine, why not check out the local vineyards? In the areas of Pla and Llevant, located near the resort area, there are several vineyards where you can visit and go wine tasting. At the end of the day, there is a fast transfer to Porto Cristo. Day 8. Porto Cristo – this fishing port city is widely known for its neighborhood with the Caves of the Dragon. The Dragon Cave is recognized as the longest on the island and stretches more than 2 kilometers. Descending into the cave, you can find amazing stony silhouettes and pillars. 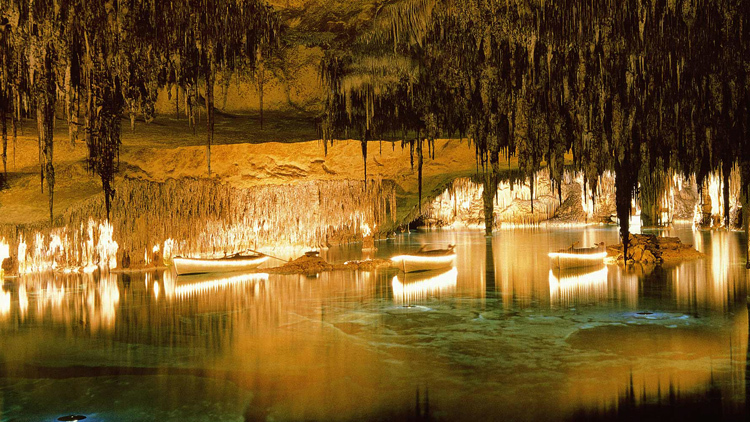 Inside the cave, there are many magnificent underground lakes with the famous lake Martel being the largest underground lake on the planet. 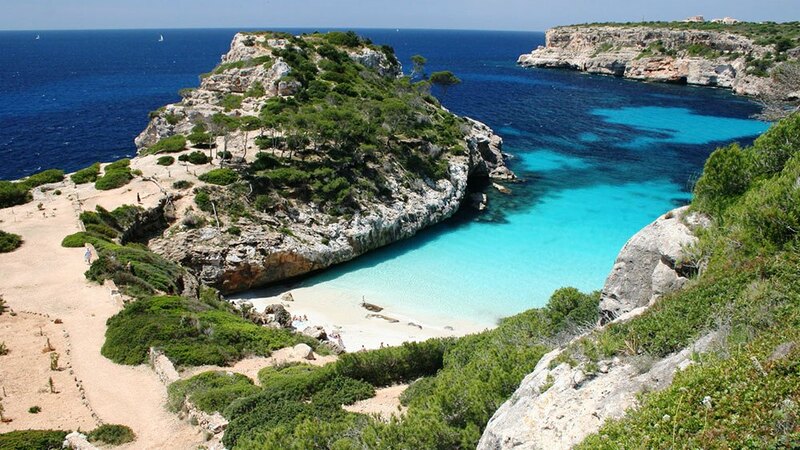 After visiting the cave, we will go through the most beautiful bays towards Cala Ratjada. Day 9. 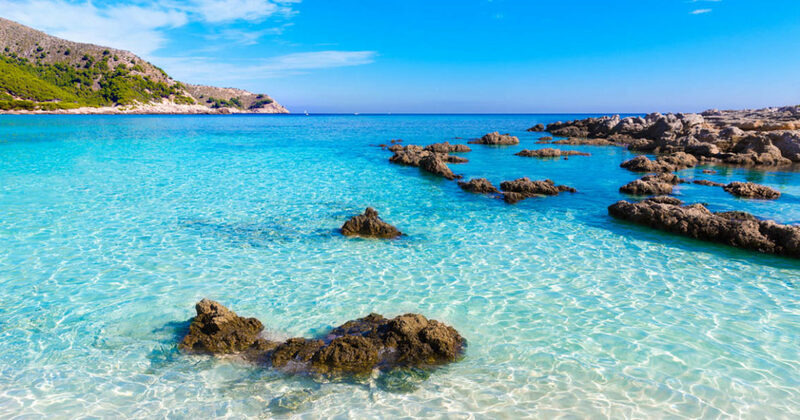 Cala Ratjada is the second largest port of Mallorca. Previously, a lobster fishery reigned here – the lobster “factories,” where these giant crayfish were kept before sale is still in the area and is now a historical monument. Along the whole embankment, as well as at many other resorts, there is a picturesque promenade, with many cafes, restaurants, and shops. The resort is famous for its beaches with the most beautiful among them being the Playa San Moll, the sand on which is shallow and beautifully pristine and white. Far de Capdepera Lighthouse is one of the local attractions; it is located at a height of 76 meters above the sea, with a beautiful panorama view. In the evening we then transfer to Port D’Alcudia. Day 10. 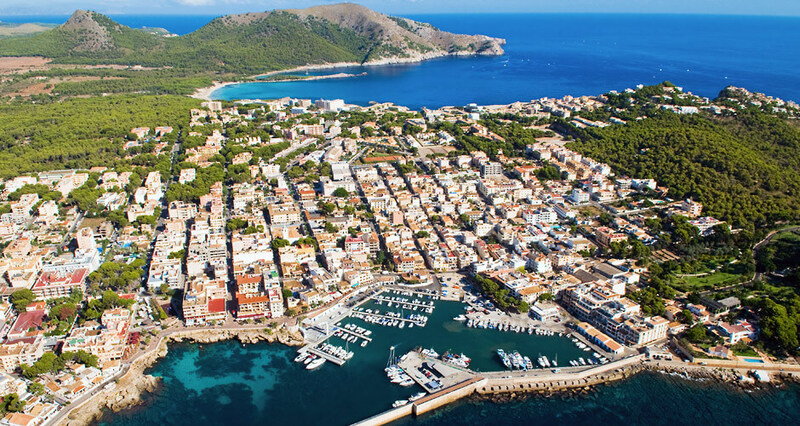 The road home will pass through Port D’Alcudia and Cap De Formentor. 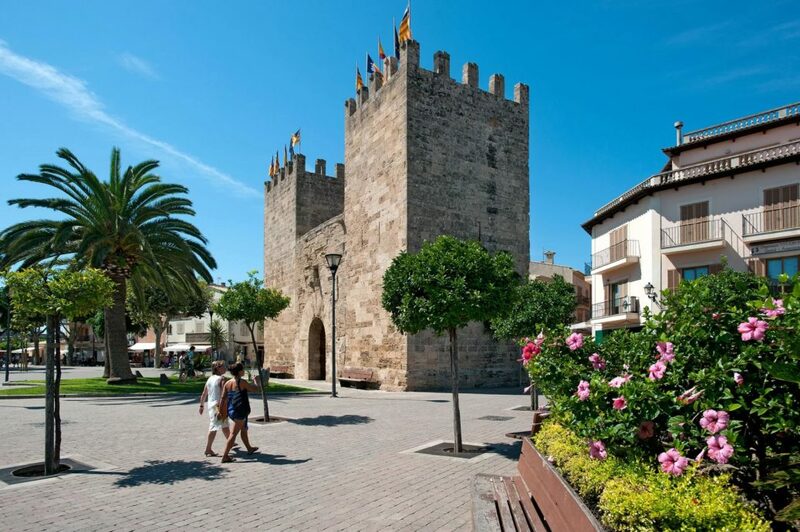 We head to the medieval city of Alcudia, which is three kilometers from Port D’Alcudia. This is the definitely the most precious place on the north of Mallorca! Here you can spend the whole day, and you will not notice how time will fly by. There is a special, artistic atmosphere that is unique to this place. It is not just an old town surrounded by a fortress wall, but instead a quaint cultural center in the open air. There are many cozy cafes and restaurants, and at the tables, you can relax from the hustle and bustle. Souvenir shops here are more like art salons or miracle shops, so you don’t want to miss out. The Alcudia fortress wall is a particular unique adventure – you can walk on it through almost all of the city, and it opens a wonderful view of the surrounding area from the fortress. There are ruins from the Romanesque period near the town, and not too far is a Roman amphitheater. After leaving Port D’Alcudia, we will pass the most northern point of Mallorca and the Balearic Islands, Cape Formentor. On the cape, there are several viewing platforms where you catch a breathtaking view of the coastline. From there you can see the majestic cape rising right from the depths of the sea, a view that will amaze you with its beauty for sure! Day 11. Homecoming. Mooring in the port of Blanes. 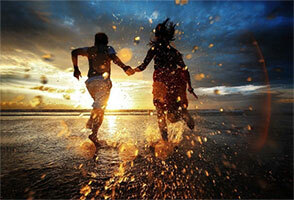 The cruise route can be changed depending on the weather conditions or the wishes of the crew. A Schengen VISA is required. o Inflatable boat for landing on the shore. o Final cleaning of the yacht. o Parking in the first and last port. o Refundable insurance deposit – 100 EUR. o Dinners in restaurants (optional). Booking – 50% of the price per place on the yacht. This amount is paid in advance. Once you have paid the first installment, the spot on the yacht is reserved for you. 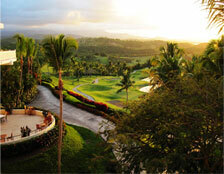 The second part of the trip cost is the remaining 50%, paid no later than 30 days before the start of the trip. You can pay in cash at the office, use your bank card, or transfer from your bank account, etc. Collection in the ship’s cash register. Paid on the first day of traveling on a yacht in cash. This part of the amount is contributed by each member of the crew, spent during the journey. Collecting in the ship’s box office – the amount that is spent for the needs of the crew. This includes the payment of fuel, parking in marinas, water, electricity, food.